Follow Highway 28 to the Gatekeeper's Museum in Tahoe City. 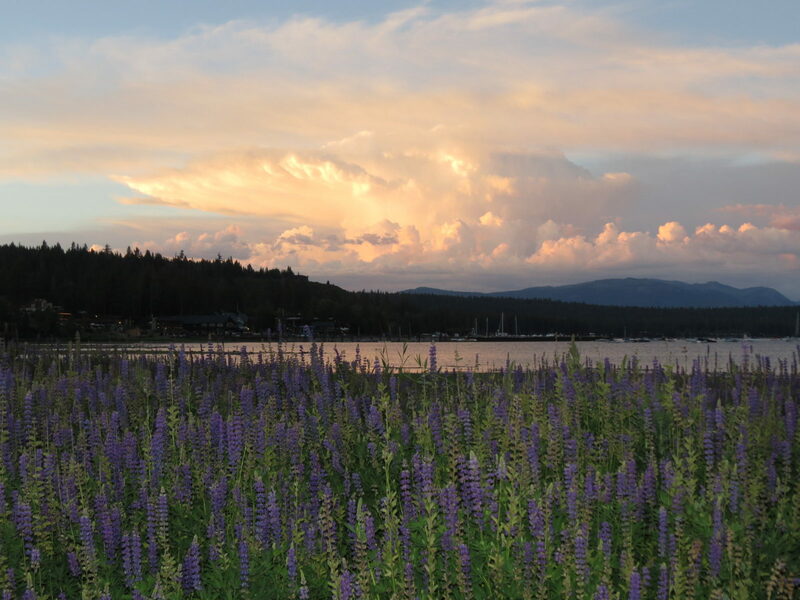 A distant thunderhead turns bright orange at sunset along the shore of Lake Tahoe at Tahoe City, CA. A lupine field graces the foreground. This particular year--2015--was unusual in that the drought allowed for a much larger lupine field than usual. In fact, summer 2017 featured virtually no flowers in this area, as the Lake had submerged the field after a very wet winter.